The health and wellness trend around the world is growing by the minute, and Tel Avivians are no stranger to it. With delectable cuisine, farms, outdoor open spaces, indoor spas, and the Mediterranean sea at their fingertips, it’s no surprise that Tel Aviv locals and visitors alike place an emphasis on taking care of their health. It’s built into the fabric of the culture. There are also lots of opportunities to incorporate spiritual or religious practices into your wellness rituals. Tel Aviv offers a blend of the traditional and modern, making it easy to develop rituals that fit your lifestyle. Here are twelve ways to engage in the health and wellness scene in Tel Aviv. The vegan scene in Tel Aviv is all the rage right now, even for non-vegans. Check out Anastasia, Meshek Barzilay, Nanuchka, and Bana to eat incredible, healthy food without feeling like you’re depriving yourself of meat or dairy. Yarkon Park borders the north of Tel Aviv and the beach and is the perfect spot for a Shabbat picnic. Bring your fresh produce from the shuk, and bread, cheese, and prepared food from Delicatessen, and you’ve got yourself a lovely afternoon. With its bright colors and textures, Citizen is the most Instagrammable place in Tel Aviv right now. This joint has veggie bowls over zoodles and beetroot lattes, and they’re not just photogenic, they’re also delicious. Tel-O-Fun, the city’s bike-sharing rental system, is a great way to get exercise while exploring the city. Ride along the Tayelet and stop on the beach to watch the sunset. 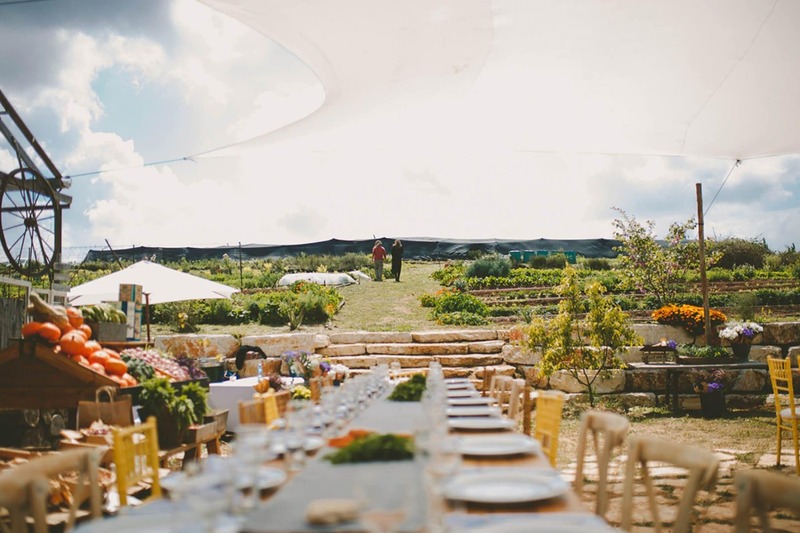 Locally sourced, produce-based, seasonal food made with love encapsulates Israeli food culture. To dive deeper into conversations about food, join a tour with Delicious Israel and discover how Shabbat foods, along with the diversity of Israel’s immigrants, shape the regional cuisine. Proximity to the water is one of the many things that draws people to Tel Aviv. Practice yoga on a stand up paddleboard in the Mediterranean Sea, and enjoy the amazing view of the city. The new Setai Tel Aviv just opened in Jaffa’s Clock Tower Square. The building, formerly an Ottoman prison, boasts a world-class restaurant, state-of-the-art spa and health complex, Turkish Hamam, and well-equipped fitness center. The Tel Aviv Night Run is a 10 kilometer run sponsored by Nike that takes place every fall. Men and women of all ages come out for the event, and runners benefit from the cooler, nighttime temperatures. 30 minutes outside the city is a small family-owned farm called Farma Cultura. Make a day trip to visit their market and take home lots of fresh produce and local products. In the Yemenite area called The Kerem, there are several Mizrahi synagogues. The area, which is surprisingly peaceful considering how close it is to the overwhelming Carmel Market, is a lovely place to spend an afternoon. Attend a class or workshop at The Kabbalah Centre to learn more about the ancient spiritual wisdom of Kabbalah. Sign up for a Shabbat dinner through EatWith and meet new people. Tel Aviv is full of folks with diverse backgrounds and experiences, and there’s always tasty food to be eaten and interesting conversations to be had. By Harper Spero, a business coach and consultant who specializes in working with individuals who want to live, work, and earn on their own terms. She’s based in New York City, spends her winters in Tel Aviv, and spends her time scouring the world for the next best Israeli restaurant.